performances and shadow puppet mastery, that is sure to entertain and inspire all ages! 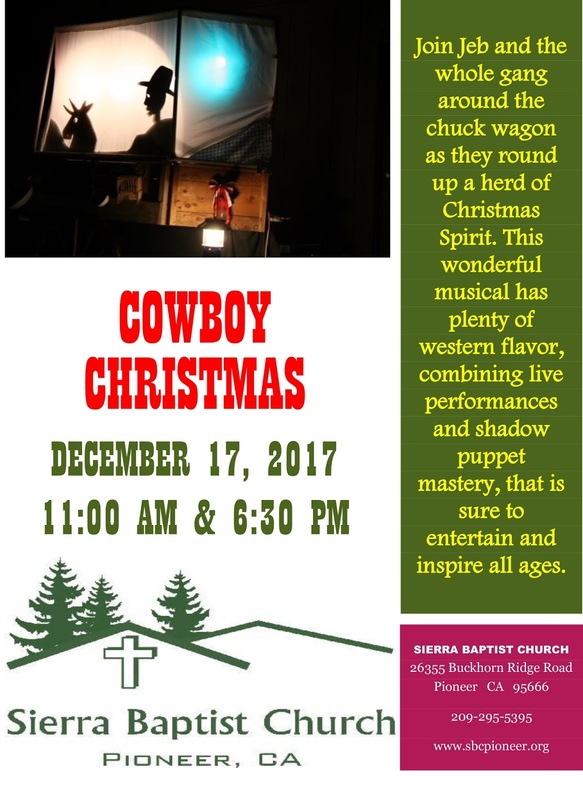 Sierra Baptist Church is located at 26355 Buckhorn Ridge Road, Pioneer. Advent is a time for preparation. It also falls at a time in our calendars when it seems all we do is preparation for something. We are preparing our homes to look more festive. We witness the many decorations in our towns and neighborhoods. In the darkening days of December, things light up. Maybe we are shaking a subconscious fist at the winter solstice. Then as the days again grow longer, we take down our lights. It worked! We defeated the sun. In the midst of all the hustle and bustle of the season, we also need to prepare ourselves spiritually. That is what Advent reminds us. Advent reminds us to "Prepare Ye the Way of the Lord." The Sunday readings of Advent point us to preparation. We are to prepare for Jesus to come again, to prepare our hearts for Jesus to be with us, and to prepare for Jesus' first humble coming. Advent builds toward the joyous birth of our savior. Prepare Ye the Way of the Lord is King James language from two sources: Isaiah 40:3 and Mark 1:3 (Matthew 3:3, Luke 3:4, and sort of John 1:23). John the Baptist echoes the followers of the prophet Isaiah asking the people to prepare themselves for God's coming. For Isaiah, it was a message to prepare for God's deliverance from exile in Babylon. Since John is quoting Isaiah, there must be a connection of deliverance for first century Jews. For John, there was urgency. 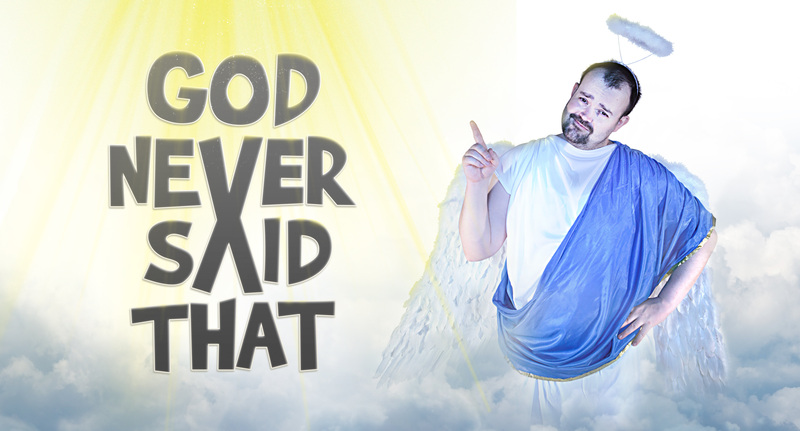 God was coming soon as Jesus was ready to begin his ministry. Prepare Ye the Way of Lord was put to music. It is included in Handel's Messiah. The Messiah begins with a tenor singing Isaiah 40:1-3. In the musical Godspell, one of the songs is Prepare Ye the Way. For these musicians, the musical story of Christ begins with the preparatory words of Isaiah and John the Baptist. We begin the church year with Advent. We prepare to hear and live the gospel message at this time of year. Before we can bring Christ into our lives, we need to prepare. Just as we prepare our homes for Jesus' birth, we are to prepare our hearts for Christ to reign there as well. Preparation is work. The point of preparation is the benefits of the work. " 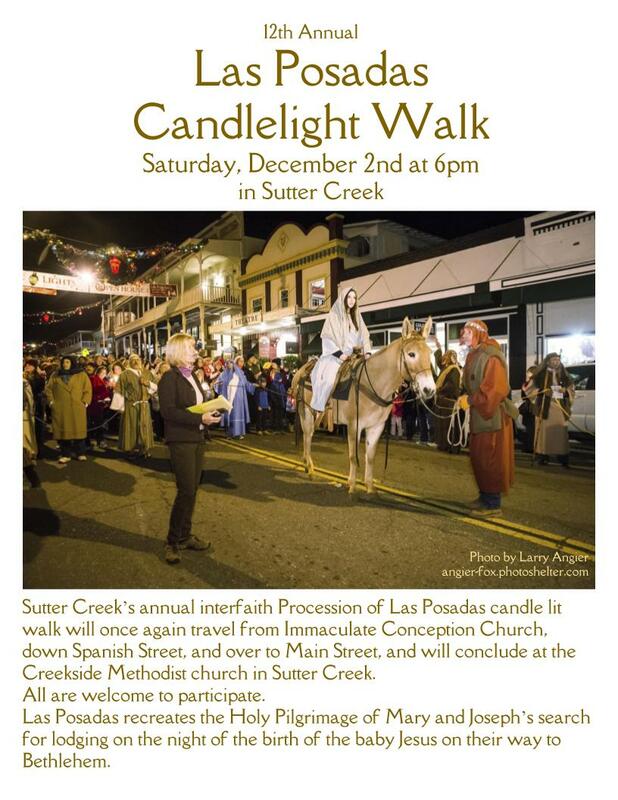 -Dec. 2nd, 6pm is Las Posadas in Sutter Creek. 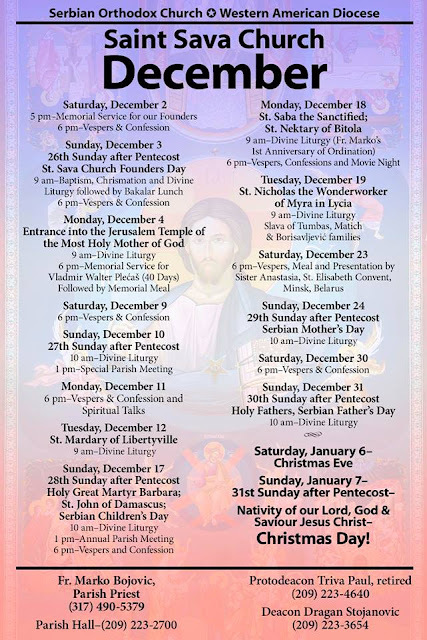 -Dec. 3rd, 1pm we will be making Advent wreaths and enjoying Taize music in Jane's Hall. Wreath supplies are provided and everyone is invited to join in. 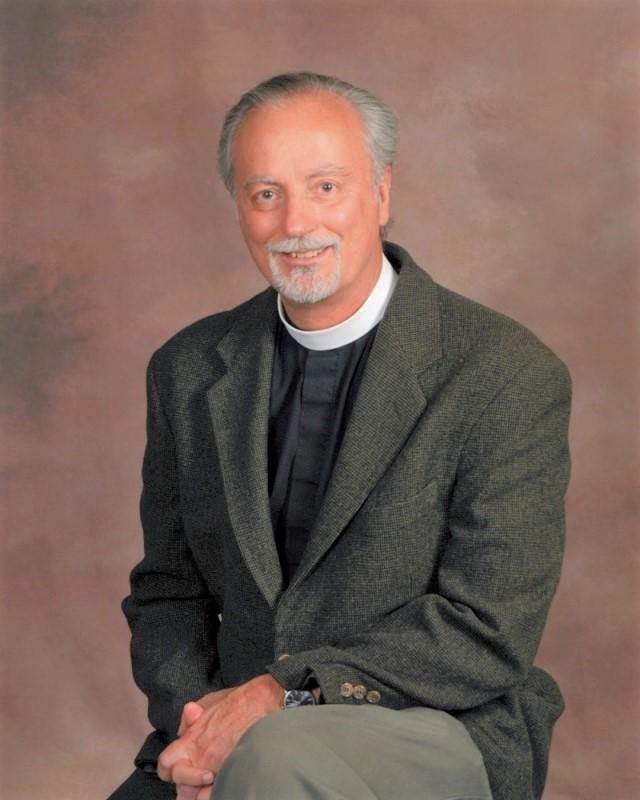 -Dec. 17th is the greening of the church following the 10:30 service. -Dec. 24th is the decoration of the church tree following the 10:30 service. -Dec. 24th, 5pm is the Christmas Eve candlelight service. As I began my prayers this morning, I was quickly struck by the fact that today (as I write this) is the day our Profile Committee will begin their official work as they meet with Canon Andrea to learn what the work will entail. 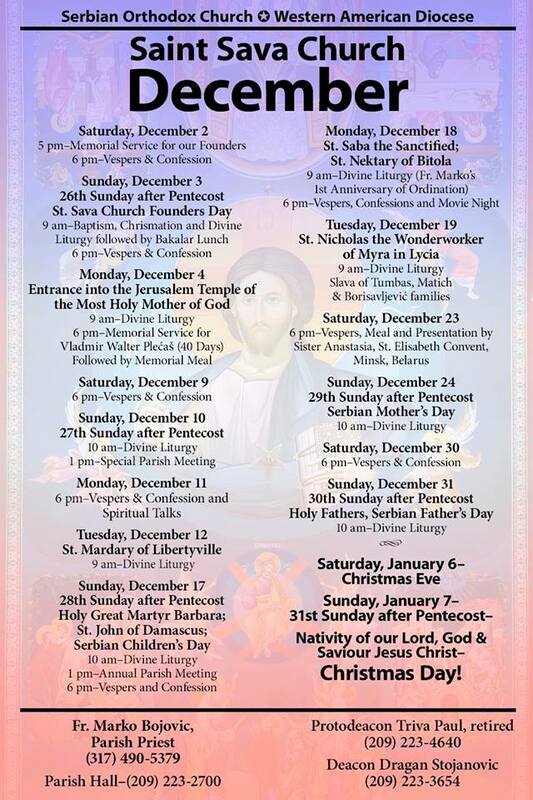 At the same time we are quickly approaching the first Sunday of Advent. This seems a good sign to me as we enter the season of anticipation and expectation. So many things preparing to be brought into the world through God's intention to bring us continually into God's Kingdom. I wonder if we are ready. When this wondering begins, I bring to mind one of my favorite Advent thoughts reflected in Mother Teresa's quote; is my heart prepared for the coming of Christ? Will the Holy Spirit find a warm place in my life during this season? It would be easy to get caught up in the consumerism that always vies for our attention at this time of year, but if we can shift our attention to love and to service during the next few weeks, I believe we will find a means of anticipating and expecting what the new life might look like if we can arrive at Christmas morning with an open heart ready to accept the gifts that have been bestowed. This seems a good parallel as we expect and anticipate a new Priest in the year ahead. Are our hearts prepared to remain open to the process that is involved in calling a new leader? Are we willing to serve and love in this time of transition? I believe that we are and that with Spiritual Disciple during this season of anticipating new birth, we will be ready with warm hearts to meet all new beginnings. May the Peace of the season be with you! 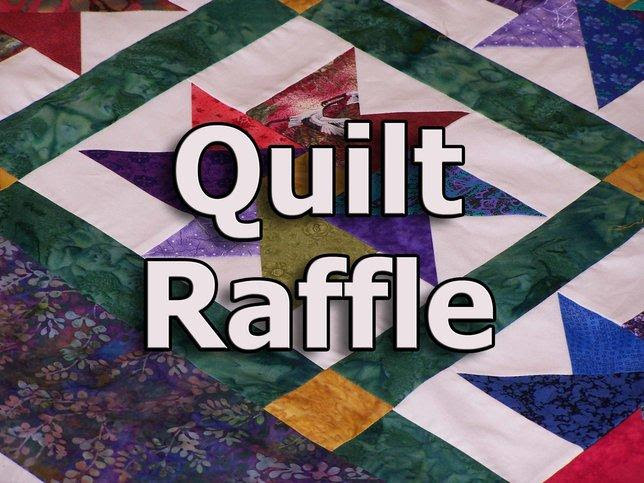 The quilt is an extra large queen and tickets sell for 6 for $5 or 1 for $1. Tickets available at the Food Bank, Thrift Store and you may purchase them from Noreen Lafferty. Last day to purchase tickets is Dec. 13. Drawing will be held December 14th and you do not have to be there to win. See flyer on the Welcome Center at the back of the church for details and a picture of the quilt. Dec. 9th, 6:30pm: Sutter Creek Parade of Lights. Help Trinity and Compassionate Amador shine at the Sutter Creek Parade of Lights. 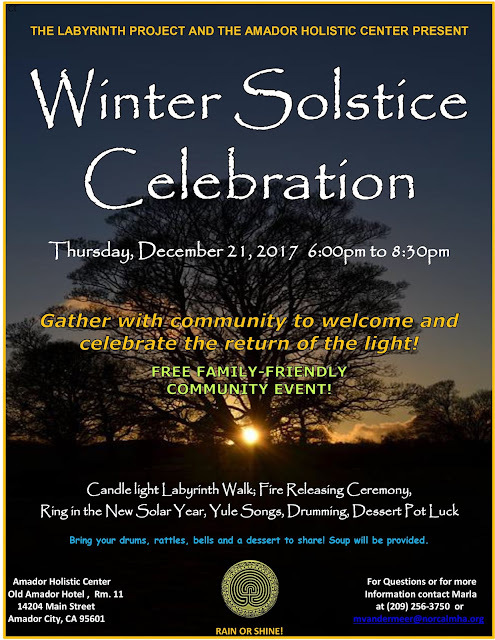 Please join us at 4:00 PM on December 9 in Jane's Hall for float decoratingwith lights and greenery and a pre-parade pizza party. Shuttles to the parade will then be available. 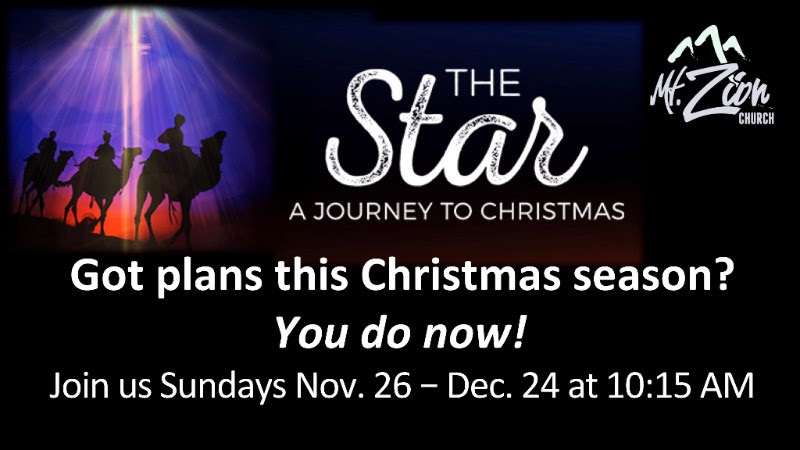 Parishioners, children and grandchildren are invited to ride or walk with our float of Trinity Church covered with holiday lights and greenery. 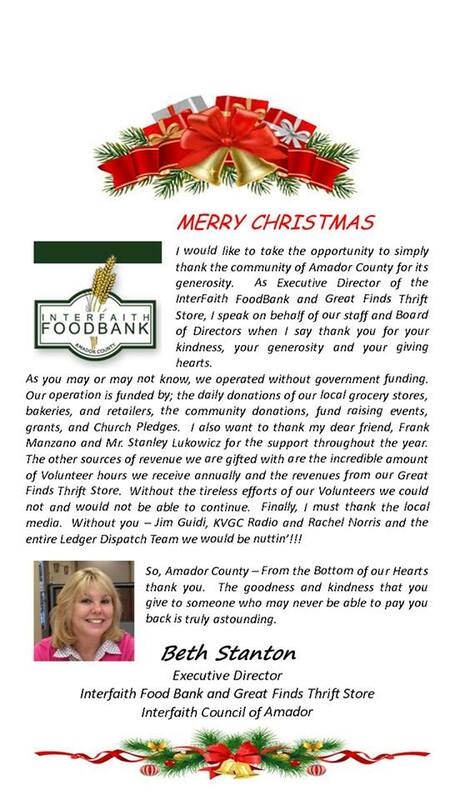 The "Hallelujah Chorus" will ring out as we share the light of Trinity Sutter Creek and Compassionate Amador. You are invited to carry one of the signs we crafted. To join in this festive and fun parade, the only requirement is that each person must be "lighted." So find yourself some battery operated Christmas lights, headband or lighted hat (or let us know if you need help getting some) and join the fun! For the first time, Trinity Episcopal Church has been selected as one of four churches to host a performance of the annual Amador County Community Chorus and Orchestra production of their Christmas Cantata. 50 combined singers and orchestra members will perform "Peace Has Come," by Mary MacDonald, under the direction of Steve Chambers (who also directs the Amador County Concert Band). Several of Trinity's choir members are joining the choir this year so you will see some familiar faces! Trinity is the first performance location: Friday, December 15 at 7:00 p.m. in the sanctuary. Please make arrangements to attend this wonderful event which we hope will become one of your favorite Christmas celebrations. If you do not drive at night, perhaps you could carpool with someone else so you won't miss this. It is also a wonderful opportunity for non-members of Trinity to come to our church, see who we are and what our lovely church has to offer. 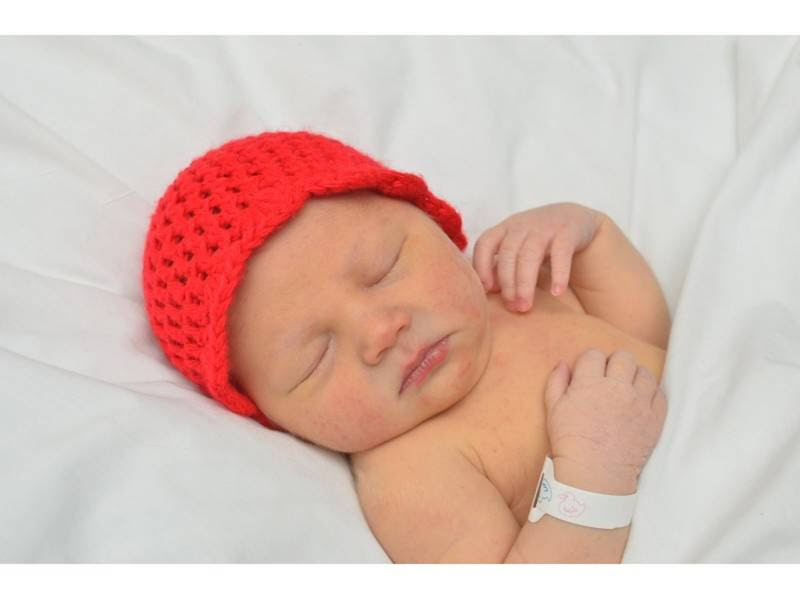 The American Heart Association and the Children's Heart Association are looking for volunteers to knit or crochet little red hats for newborns or preemies. They will be giving the hats away during the month of February (Heart Month) to all the little February newborns. Information about the project can be found online at LittleHatsBigHearts@heart.org. The hats should be red and made of worsted (4) yarn that is acrylic only. The site includes knitting and crocheting patterns, although you can use any pattern you like. 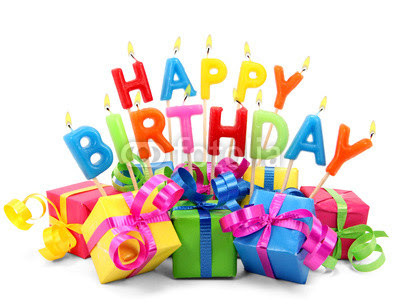 There will be a basket at the back of the church to collect the little red hats. The deadline for these hats is January 10 and any hats in the basket by the church services on the January 7th will be forwarded to the Sacramento center. 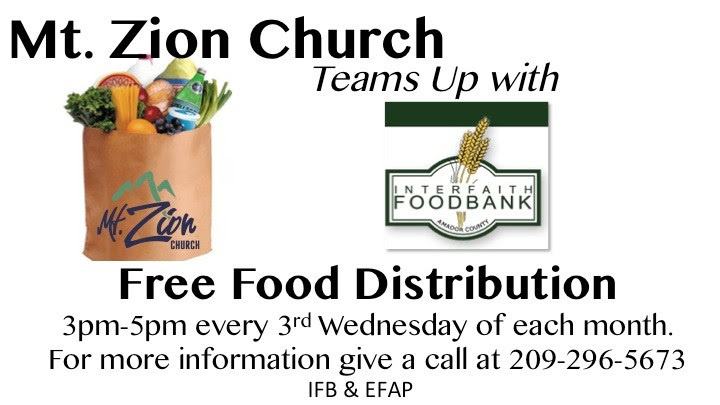 For any questions or more information, contact Carol Davis at 925-400-3107. 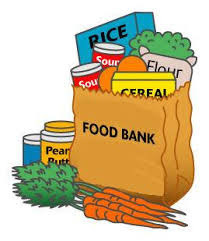 Food gifts for October/November totaled 725 pounds (includes 632 lbs. of excess Project Thanks donations). Total for the year: 1720 pounds. All are invited to join the Trinity Singers/Worship Team! Rehearsals are the 1st and 3rd Wednesdays at 7pm. Bring your voices, your instruments, and a heart for worship and praise! For more information, please contact Deena Holland at 209-296-6616 or email deenaholland@hotmail.com.